Alexander Kaminski, also known as Olek, is a Commonwealth Scholar undertaking his Ph.D as part of a project entitled “Piloting inclusive business and entrepreneurial models for smallholder fish farmers and poor value chain actors in Zambia and Malawi” led by WorldFish in partnership with the Institute of Aquaculture and funded by the Federal Ministry of Economic Cooperation and Development (BMZ), Germany. Olek has an MA in Development Studies from Rhodes University, South Africa; and a second MA in Development and Governance from the University of Duisburg-Essen, Germany. After graduating he worked as an aquatic resource management consultant at WorldFish for five years, in Malaysia, Bangladesh and Zambia, specializing on topics such as smallholder aquaculture development, food and nutrition security, gender transformative change and value chain governance. His doctoral research seeks to integrate these components within the broader development goals of the above-mentioned BMZ project. 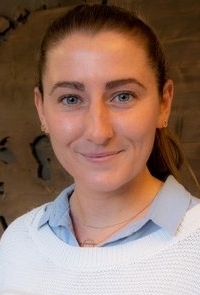 Steph Horn is a PhD student working on performance assessment of emergent aquaculture technology. This project aims to enhance benefits for producers and consumers and address key research questions associated with CGIAR Research Program on Fish Agri-Food Systems (FISH), led by WorldFish. The PhD studentship is match-funded by WorldFish and the University of Stirling. Steph received her MSc in Sustainable Aquaculture from the University of Stirling during which she spent time in Bangladesh carrying out a performance assessment of genetically improved farmed tilapia. The PhD will allow Steph to continue in this area of research as it begins with a focus on tilapia in Bangladesh. Her main research interests are sustainable aquaculture, food security and aquaculture value-chains. Suleiman Omale Yakubu is a Commonwealth scholar undertaking a Ph.D. research on ‘Dynamic Modelling of Production Systems Performance for Aquaculture Planning and Management in Nigeria’. It involves field experiments of African catfish farming practices and production efficiency based on feed and water management options, with the aim of supporting policy framework towards realizing the vast aquaculture potential in the country. Following a bachelor’s degree in Aquaculture and Fisheries Management from Nasarawa State University Nigeria, Suleiman received his MSc. in Sustainable Aquaculture from the University of Stirling, UK in 2016, where he conducted research on near-field modelling of Fish cage particulate wastes in Scottish MPAs. His research and field experience include having worked as an Assistant Lecturer in a University and enumerator for IFPRI ecosystem services project in Nigeria. His research interests cover aquaculture resource management and environmental modelling. 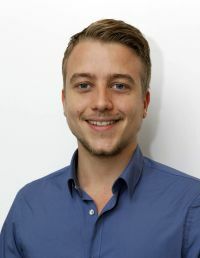 Wesley Malcorps is a PhD student working on “Value Chain and Sustainability Assessments of European Aquaculture Value Chains”, as part of the GAIN (Green Aquaculture Innovation) project funded by European Union Horizon 2020. He has an educational background in Water Management (B.WM) and Sustainable Development (MSc) enforced with experiences in environmental and aquaculture research and international development. Additionally, he had professional roles in sustainability projects, became a PADI Divemaster and has over 10 years of experience as an expert and salesman in fresh- and saltwater species in the ornamental fish trade. The research project aims to increase the sustainable production of high-quality aquaculture products in the European Union (EU) and European Economic Area (EEA), in order to reduce reliance on imports, create jobs and increase food safety and security. His main work is to collect data in partner countries along the European aquaculture value chain (feed production, farming, processing, post-processing and consumption) of the 5 key finfish and 3 shellfish species. Finally, an overall sustainability assessment and modelling will be conducted using Value Chain Analyses (VCA) and Life Cycle Assessments (LCA) and environmental, economic and social sustainability indicators. Faridah Bukirwa is a Commonwealth Ph.D. student working on Sustainable Tilapia Cage culture on Lake Victoria, in which she does Spatial Modelling of Suitable Sites using GIS/Remote sensing and develops bioenergetics and carrying capacity models for selected sub-catchments on the Lake. Faridah holds a Masters’ degree in Integrated Water Resources Management from University of Dar-es-salam, Tanzania where she focused on Modelling Land-use change and its contribution to Non-Point Source Pollution on Lake Victoria using SWAT model, GIS and Remote Sensing; and a Bachelor of Science Degree in Fisheries and Aquaculture from Makerere University, Uganda where she researched about the Effectiveness of Wetland Nutrient Retention prior to draining into Lake Victoria (Case of Rubigi Wetland). She has experience working at Policy level in Uganda and in other consultancies within the South and East African region (including Kenya, Malawi, Rwanda, Tanzania, South Sudan, Burundi, Zimbabwe) on Fisheries in particular understanding Fish Value Chains, Quality Assurance and Quality Management Systems, Regional & International Market Access (inspection and certification of fish and fishery products). 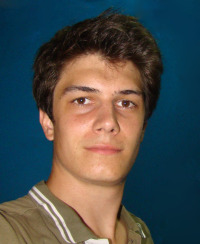 Pierre-Oliver Maquart is a PhD student working on the AgriTT, Research Challenge Funded, project Ento-Prise. He has a background in Entomology and Ecology. He worked on the Sterile Insect Technique (S.I.T.) applied on Aedes albopictus and Anopheles arabiensis in la Réunion Island. He also worked at the IZIKO Museum of Cape Town (South-Africa) on the Phylogeny and Systematic of Afrotropical wasps. He is in charge of the project coordination in Ghana. His main work is to scale up the Insect Production System of the Black Soldier Fly (Hermetia illucens), identify new substrates to feed them, test their nutrient composition and then the maggots’ nutrient after being fed with them. The produced worms will be tried as a potential substitute for Tilapia ( Oreochromis niloticus) feed. On a final step, the leftover substrate will be evaluated as a potential biofertiliser on local crops. You can see his ResearchGate profile Here. Dimitar Taskov - is a PhD student involved inglobal value chain (GVC) analysis of major European fisheries and aquaculture commodities. His research is funded by the European Commission and is conducted within the scope of the Horizon 2020 PrimeFish project (www.primefish.eu), looking at strategies for improving the economic performance and sustainability of the European aquaculture and fisheries sectors. 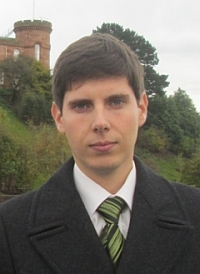 Dimitar received his BSc and MSc degrees in Aquaculture at the university of Stirling where as part of his studies he conducted research on socio-economic and environmental aspects of aquaculture in Bangladesh and Indonesia. His main research interests are international development, sustainable aquaculture and global value chains. Ekpeki Akpojotor O – is a University of Stirling Impact Research Scholar working on developing dynamic models of carrying capacity for global freshwater aquaculture for his PhD. This will contribute to the Horizon 2020 TAPAS research project, which, aims to consolidate the environmental sustainability of European aquaculture by developing tools, approaches and frameworks to support Member States. With a background in Systems Engineering, he obtained his MSc in Sustainable Aquaculture from the Institute of Aquaculture, Stirling where he was involved in developing Production and Ecological carrying capacity estimates and waste dispersion models for zonation of cage aquaculture in Lake Volta, Ghana. He has extensive experience in the fish farming and aquaculture industry in Nigeria and has an avid interest in Production Systems and Sustainable development of African Aquaculture. Steven Prescott - Used Life Cycle Assessment methodology as a tool to investigate trade-off's between different environmental impacts associated with the production of marine organisms in Integrated Multi-Trophic Aquaculture systems. His research was conducted in Chile in collaboration with the Centro De Investigación y Desarrollo de Recursos y Ambientes Costeros (I~mar). The project focused on many aspects of Chilean salmonid production, including the agricultural production of ingredients for commercial compound fish-feed formulations. His central research interests are the development of sustainable food production chains using life cycle thinking. See his ResearchGate and LinkedIn profiles. Joly Ghanawi was a MASTS funded PhD student working on impacts of aquaculture on wild fish populations. Sea cages have the potential to benefit fish by providing nursery grounds and additional sources of food. On the other hand sea cages have the potential to act as ecological traps by diverting fish from habitats of higher quality. Fish were sampled at fish farms on the West coast of Scotland. Various analyses were conducted such as stomach content and fatty acid analysis. Modelling work was conducted to determine the impacts on the overall populations of the species (mainly mackerel and whiting). The fieldwork was supported by a small project grant from the Fisheries Society of the British Isles. Emilie Devic completed her PhD working within the EC FP7 project PROteINSECT. She previously worked for 2 years in Indonesia developing a large scale production system of Black Soldier Fly (BSF, Hermetia illucens) to support sustainable aquaculture. Her research looked at the use of insects (BSF and common housefly, Musca domestica) as a sustainable source of protein for tilapia (Oreochromis niloticus) in developing Ghanaian aquaculture (intensive and semi-intensive) and for Atlantic salmon (Salmo salar) in Scotland. Janielle Wallace was a Jamaican Commonwealth Scholar (2012-15) who undertook her research as part of an EU FP7 Sustaining Ethical Aquaculture Trade Project (SEAT) in collaboration with an animal nutrition company Royal DSM. Conducted in Thailand, her research assessed the potential for multi-enzymes to treat anti-nutritional factors in plant-based farmed tilapia diets and thereby reduce requirement for fish meal (FM) inclusion. Through a systems approach commencing with an evaluation of local farmer feeding practices, diets were designed specifically for fattening in semi-intensive green water pond systems; a prominent feature of Asean tilapia production. Comparative life cycle (LCA) modelling was also applied to determine the environmental benefits of digestibility improvements using these enzyme supplemented low FM diets compared to commercial tilapia feeds in Thailand. See ResearchGate and LinkedIn Profiles.